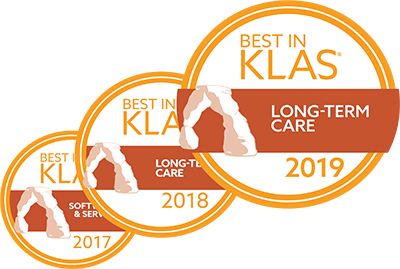 Bloomington, MN – MatrixCare&reg, the industry’s most comprehensive EHR solution to help skilled nursing and senior living operators deliver superior care and better outcomes, congratulates A.J. Fike on his victory at last weekend’s SuperChevyStores.com 100. Fike dominated the race, leading 60 of 100 laps, and took the MatrixCare Liberty Village Ford to victory lane. John Damgaard, MatrixCare President and CEO, commented, "Success is truly a team effort and we are proud to support the winning RFMS Racing Team." "The car was perfect off the trailer," Fike said. "I can’t say enough about everyone on the team, my pit crew, my dad. This is a great win for us. It’s very exciting." The MatrixCare Liberty Village Ford races next at DuQuoin, another mile-long dirt track. That race will take place Labor Day, Monday, September 7, 2015.